Today Sue ran her first marathon, the Disney Marathon in Florida. Tom, Rich and Amy went to watch and cheer her on. 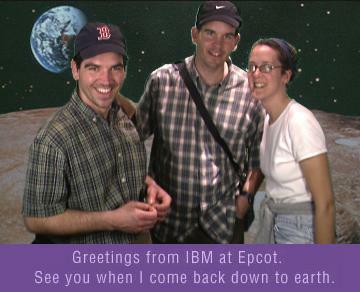 Here they are on the surface of the moon, a side trip available from Disney World.